Armed with fierce determination to create knee warmers which stay in place without squeezing our thighs, the first step was to find an alternative to the tried and true elastic band. We sourced silicone backed fabric which eliminates the need for elastic bands. Hooray! Not only is this solution more visually appealing, but it is even more functional because it allows the warmers to stay in place with less bulk. It's almost like it molds to your skin as you ride. Sometimes, less is more. A gentle hug will do, as opposed to a vice grip. 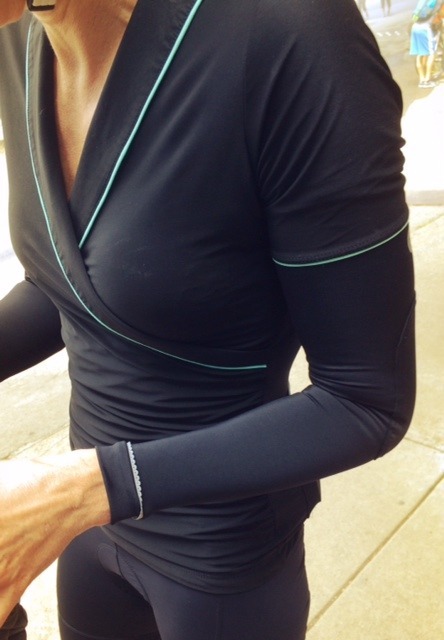 We loved this fabric so much that we decided to use it for our arm warmers as well. 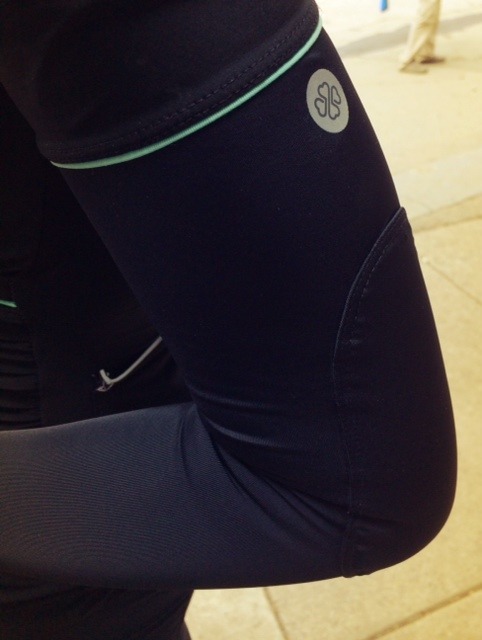 We added our favorite scalloped reflective trim around the wrist of the arm warmer, and on the front of the knee warmers. The hand-sewn elbow and knee patches add some visual interest as well as a little extra warmth for the joints. A small reflective logo on the left arm and knee add visibility. Give them a try. The Patchy Knee Warmer and The Patchy Arm Warmer (shown with our Wrapture Jersey) are in stock just in time for fall. We're sure you'll never want to go back to gripper elastic!